With improved sound and convenience, amPlug, the number one choice for headphone guitar amplification is now even better! With amPlug G2, there's no need for a guitar cable; simply plug it directly into your guitar and enjoy authentic amplifier sound. 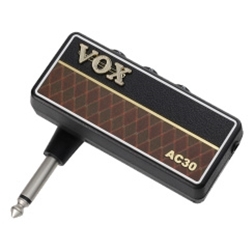 The AC30 model provides the classic AC30 top boost sound.